Shopping for Beauty and the Beast Wallets? Carry a bit of Disney magic with you! 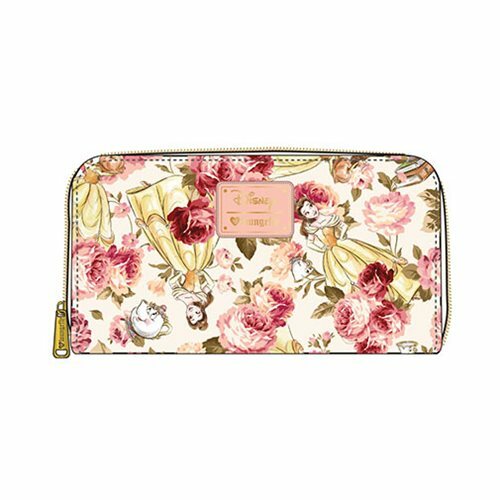 Fans of Disney's Beauty and the Beast will love this Beauty and the Beast Belle Character Floral Print Zip-Around Wallet. It is made of saffiano faux leather, with printed details. The wallet measures approximately 8-inches tall x 4-inches wide.